Jim Jarmusch and Jozef Van Wissem met on the streets of New York in 2006. Finding that they shared many interests, both a friendship and a musical collaboration was soon born. The duo has released two albums of lute and guitar compositions: Concerning the Entrance Into Eternity (Important Records) and The Mystery of Heaven (Sacred Bones Records). This is the third split CD on Incunabulum, consisting of solo lute material by Van Wissem and new pieces by the duo. Film maker Jim Jarmusch plays electric and acoustic guitar and does tape on one piece. Van Wissem plays lute and 12 string electric guitar. 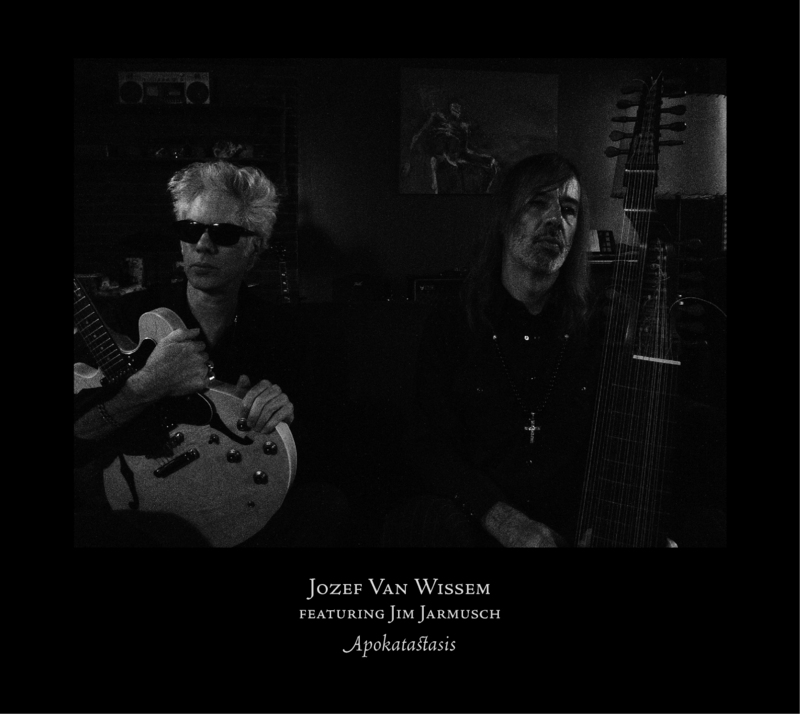 The solo part has two lute pieces with layered repetitive palindromes by Van Wissem and the sparse beautiful haunting “Lux Divinitatis”. The five pieces he plays here with Jim Jarmusch showcase the more experimental side of the duo. Pitchfork.com wrote: “At times their sounds connect like rhyming lines of poetry… Jarmusch’s long tones form the echo of Van Wissem’s patient, precise notes”.